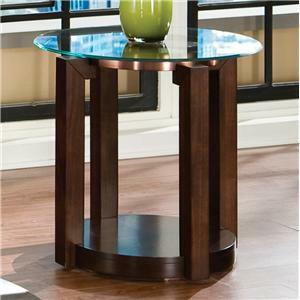 This contemporary end table has strong lines and a Cappuccino finish, bringing a modern sophistication to your living room. With a pull out shelf, this table accommodates to your living room storage needs. 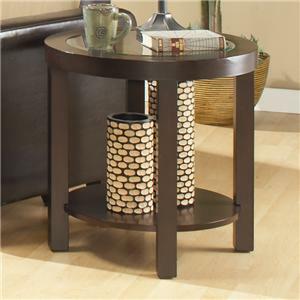 The 72119 Rectangular End Table with Pull Out Shelf by Coaster at Carolina Direct in the Greenville, Spartanburg, Anderson, Upstate, Simpsonville, Clemson, SC area. Product availability may vary. Contact us for the most current availability on this product. 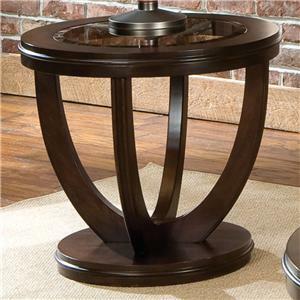 Browse other items in the 72119 collection from Carolina Direct in the Greenville, Spartanburg, Anderson, Upstate, Simpsonville, Clemson, SC area.